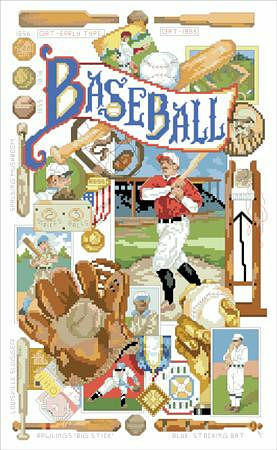 America’s favorite pastime is perfectly illustrated in cross stitch by artist Linda Gillum. Linda has captured the smell of popcorn and the roar of the crowd while tracing the history of baseball in a visually compelling way. This is a classic and nostalgic design for sports fans of all ages.